​FFA has a dynamic degree system that rewards student's achievement as they progress in their leadership, interpersonal, and professional skills. Students can begin their journey at the chapter level with the Discovery, Greenhand, and Chapter FFA Degrees. They can then apply for a State FFA Degree from the state association, and finally work toward the coveted American FFA Degree after graduating from high school. Be enrolled in an agriculture class for at least a portion of the school year while in grades 7th-8th. 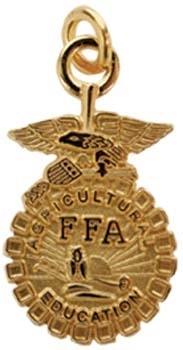 Have become a dues-paying member of FFA at local, state and national levels. Be familiar with the local FFA chapter’s Program of Activities. Demonstrate a knowledge of the history of the organization, the chapter constitution and bylaws and the chapter Program of Activities. Personally own or have access to the Official FFA Manual and the Official FFA Student Handbook. Must have satisfactorily completed the equivalent of at least 180 hours of systematic school instruction in agricultural education at or above the ninth grade level, have in operation an approved supervised agricultural experience program and be enrolled in an agriculture course. Have participated in the planning and conducting of at least three official functions in the chapter’s Program of Activities. Have earned and productively invested at least $150 by the member’s own efforts, or worked at least 45 hours in excess of scheduled class time, or a combination thereof, and have developed plans for continued growth and improvement in a SAE program. Have participated in at least 10 hours of community service activities. These hours are in addition to and cannot be duplicated as paid or unpaid supervised agricultural experience hours. Have earned and productively invested at least $1,000, or worked at least 300 hours in excess of scheduled class time, or a combination thereof, in a SAE program. Demonstrate leadership ability by: a.) Performing 10 procedures of parliamentary law; b.) Giving a six-minute speech on a topic relating to agriculture or FFA. c.) Serving as an officer, committee chairperson or participating member of a chapter committee. Have participated in at least 25 hours of community service, within at least two different community service activities. These hours are in addition to and cannot be duplicated as paid or unpaid supervised agricultural experience hours. 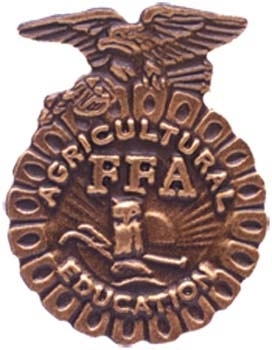 Have satisfactorily completed the equivalent of at least three years (540 hours) of systematic secondary school instruction in an agricultural education program, or have completed at least the equivalent of 360 hours of systematic secondary school instruction in agricultural education and one full year of enrollment in a postsecondary agricultural program, or have completed the program of agricultural education offered in the secondary school last attended. Have earned and productively invested at least $7,500, or have earned and productively invested at least $1,500 and worked 2,250 hours in excess of scheduled class time. Any combination of hours multiplied by a factor of 3.33 plus dollars must be equal to or greater than the number 9,000 (see page 27 for calculations). Hours used for the purpose of producing earnings reported as productively invested income shall not be duplicated as hours of credit to meet the minimum requirements for the degree. Have participated in at least 50 hours of community service, within at least three different community service activities. These hours are in addition to and cannot be duplicated as paid or unpaid SAE hours. 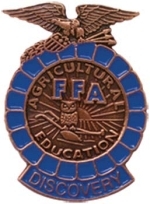 Applicants must submit an application with the signatures of the chapter president, chapter advisor, superintendent or principal, and state advisor or state executive secretary, certifying accuracy of all statements in the application and that the applicant conducted him/herself in a manner to be a credit to the organization, chapter and community.